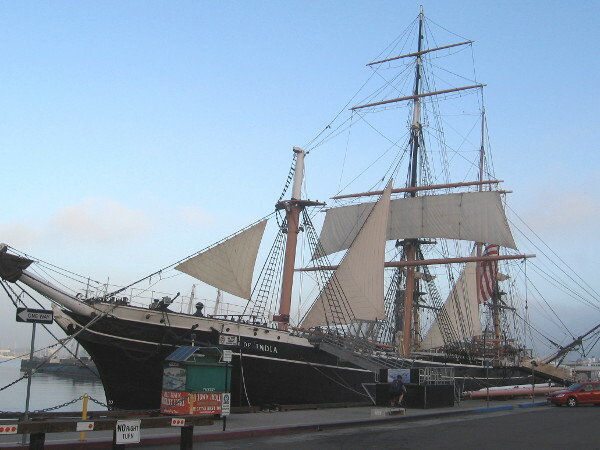 Cool San Diego Sights! 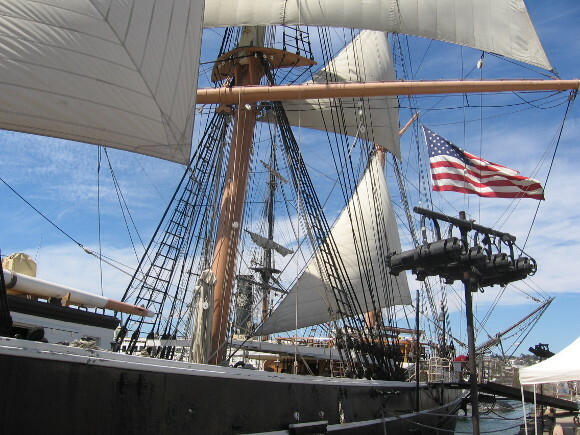 – Page 294 – Colorful photos of San Diego places and events. 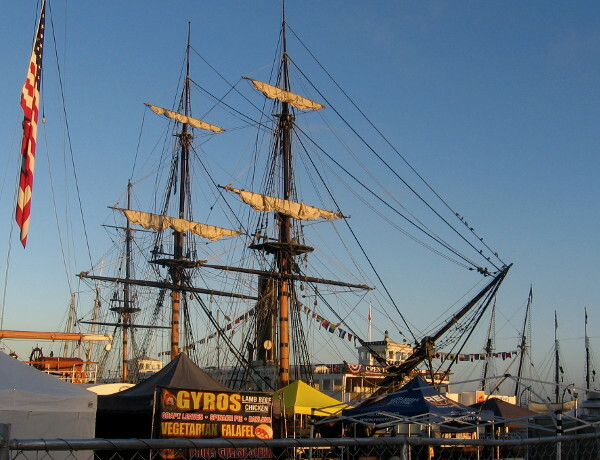 Early morning at San Diego Festival of Sail. This photograph was taken early this morning when I walked through downtown to catch the trolley for work. 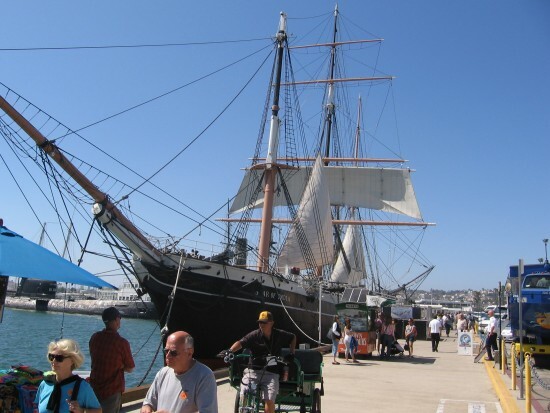 I strolled a short distance along the Embarcadero near the County Administration Building and was pleased to see many tall ships had already arrived to take part in the 2013 Festival of Sail this Labor Day weekend. 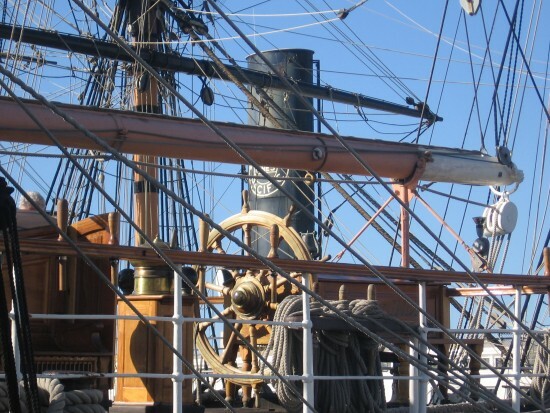 In addition to the San Diego Maritime Museum’s venerable Star of India, HMS Surprise and Californian, numerous high-masted sailing vessels will participate in the historic event. 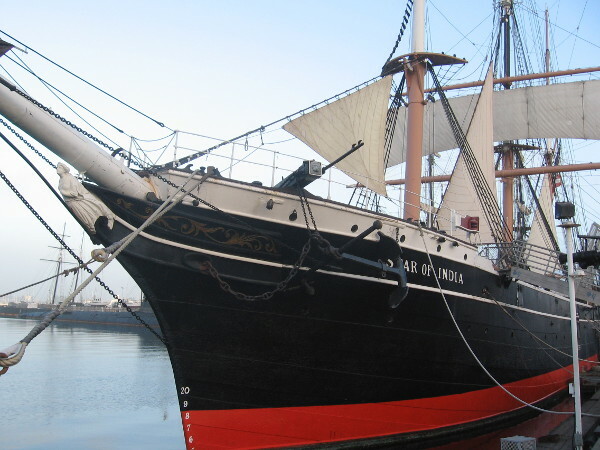 And simulated cannon battles will take place on San Diego Bay! 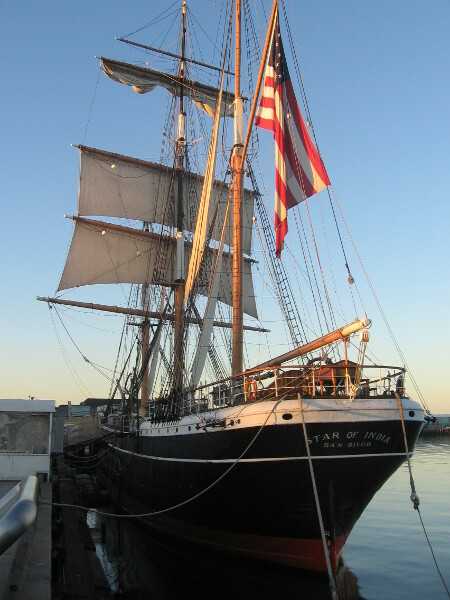 Lots of excited people will be touring these beautiful ships! 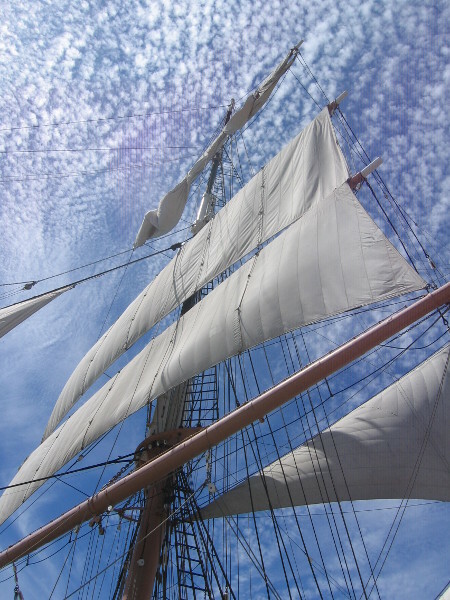 Masts of many tall ships in a colorful morning sky. 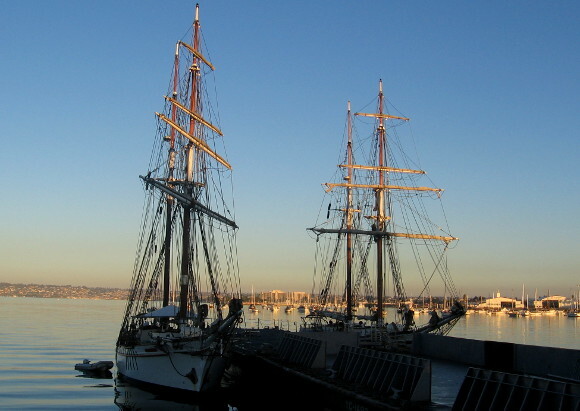 HMS Surprise of San Diego Maritime Museum and masts of visiting tall ships beyond. Navy sailors run along Harbor Drive before the Labor Day weekend event begins. 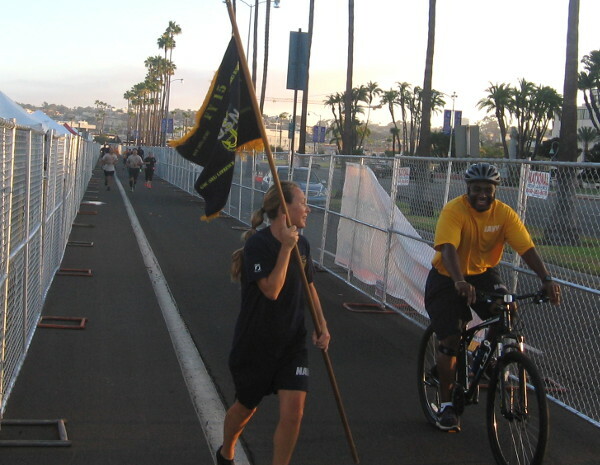 The runner with the flag led a bunch of lustily singing Navy personnel on a run right next to the festival venue! 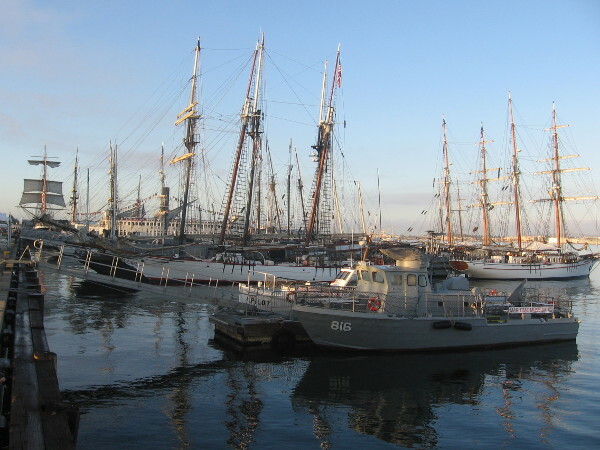 A view of tall ships participating in 2014 Festival of Sail on the Embarcadero. 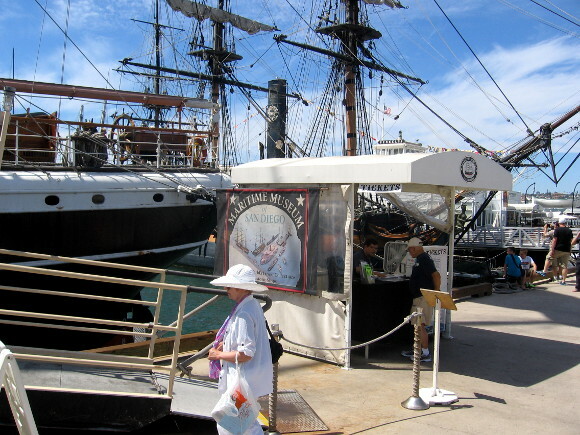 Posted on August 30, 2013 September 4, 2015 Tags downtown, embarcadero, festival of sail, history, photography, sailing, san diego, san diego bay, ships, tall shipsLeave a comment on Early morning at San Diego Festival of Sail. A splash of colorful art in Mission Valley! 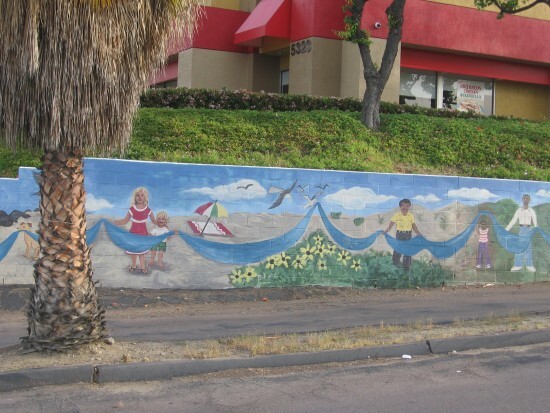 Here are a couple more photographs of the beautiful Our River mural just north of the San Diego River, east of Mission Center Road. 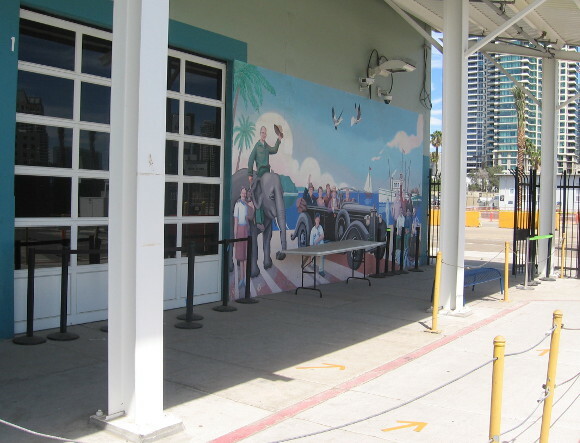 San Diego contains many examples of fantastic outdoor urban art, and I hope to document many of them on this blog. Stay tuned for all sorts of colorful surprises and fun! Long, very colorful mural on parking lot wall near Carl’s Jr.
Posted on August 30, 2013 August 28, 2018 Tags art, color, culture, diversity, life, mission valley, murals, photography, public art, san diego, san diego river, urban art1 Comment on A splash of colorful art in Mission Valley! More photos from the ribbon of life mural. 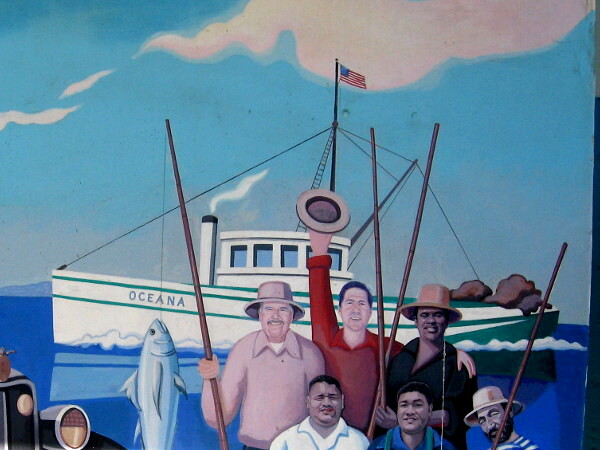 Here are more photographs that I took of the wonderful mural Our River, which depicts a sinuous blue ribbon of life, symbol of the San Diego River. 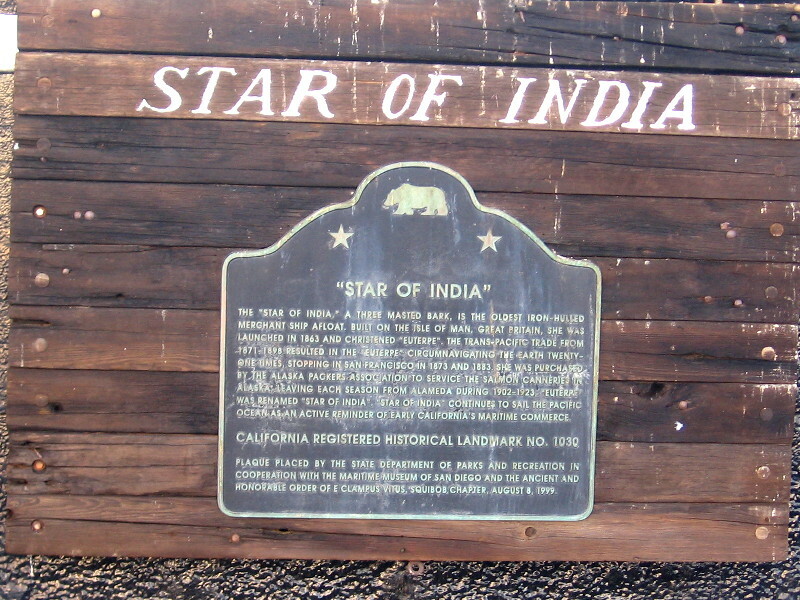 The long blue ribbon is held up and cherished by those who live along it. The flowers, tree, cloud and happy children give this fine example of public art amazing vitality. 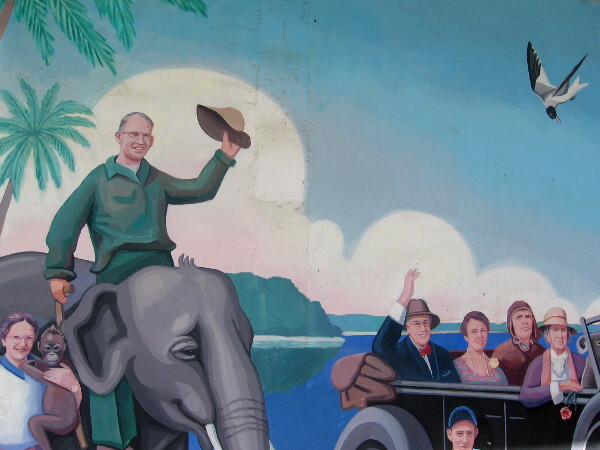 The surprising parking lot mural contains joy from one end to the other! Two figures hold up the long blue ribbon of life. 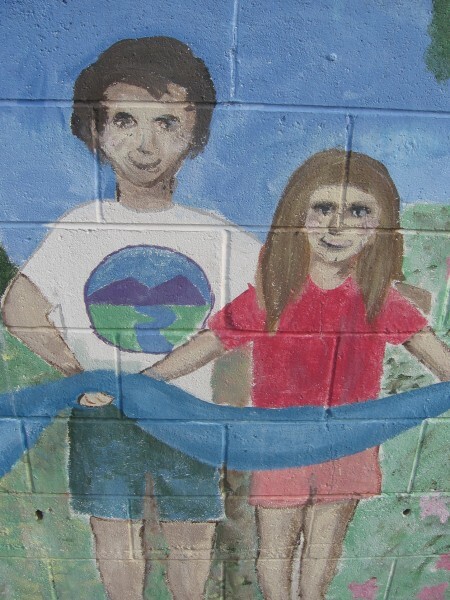 Small portion of the Our River mural in Mission Valley. 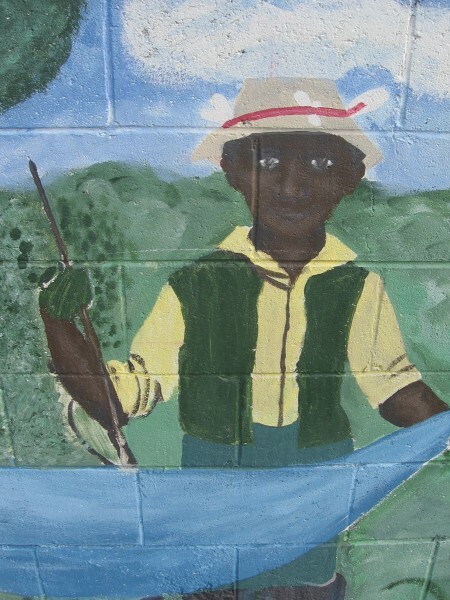 A figure from the extensive Our River mural. 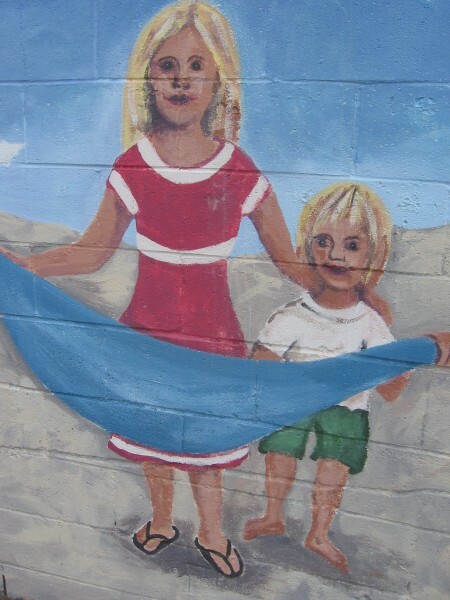 Happy faces at the beach painted on an outdoor mural. 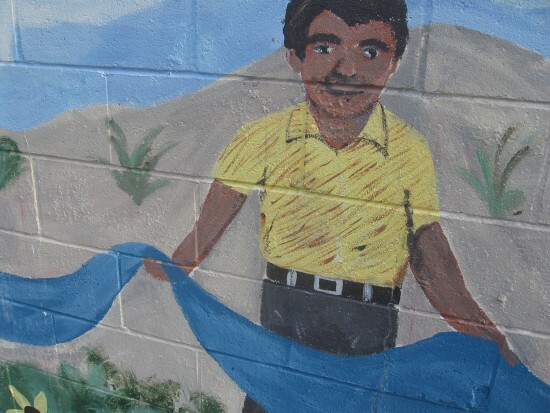 Posted on August 30, 2013 August 28, 2018 Tags art, culture, diversity, environment, life, mission valley, murals, photography, public art, san diego, san diego river, urban artLeave a comment on More photos from the ribbon of life mural.